You Dropped a Jingo Bomb On Me. 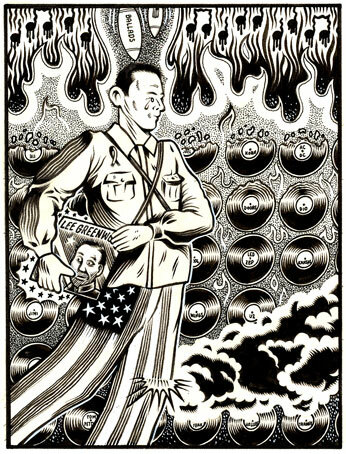 For the UK music mag Plan B, for a story about jingoistic music post-9/11. Measuring 4 5/8" x 6 51/8", centered on thick 8" x 9.5" illustration board.